Valentine's Day is already just a few weeks away and I have the perfect DIY to get you in the spirit. 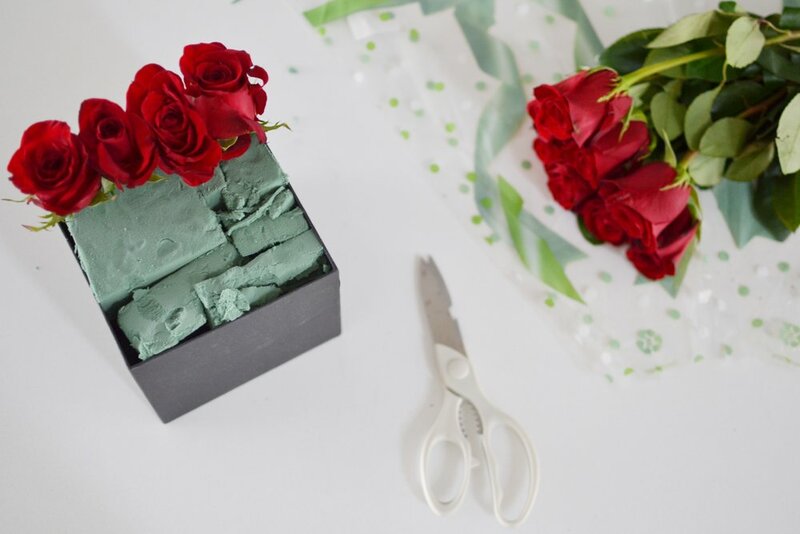 Nothing says February 14th like some red roses, but this year I'm adding a chic twist by making boxed flower arrangements for all of my Valentine's. 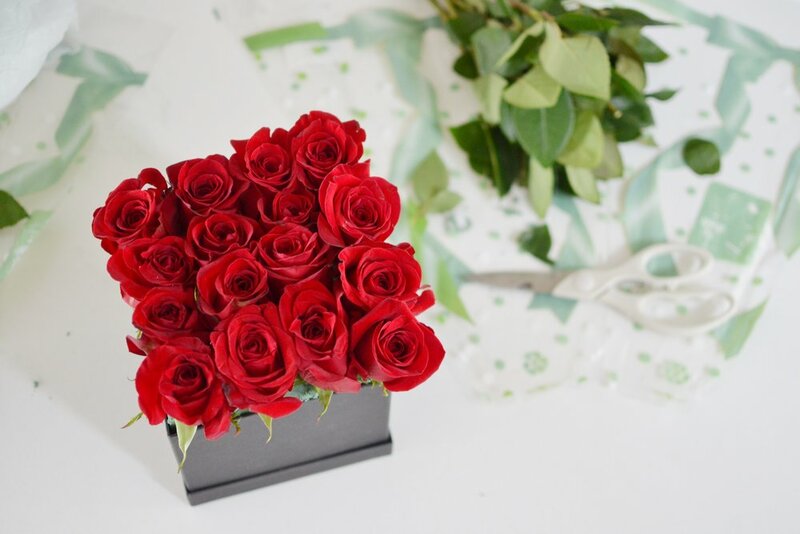 Boxed flowers are super trendy right now, there are a lot of high-end floral companies that offer these types of arrangements for a hefty cost. If you like these boxed arrangements, do yourself a favour, save your money and DIY instead of BUY. This arrangement cost me thirty dollars in total to make (including the cost of the roses). Measure and cut your Wet Foam so it fits nicely inside the box (I had to double stack mine to get the right height). 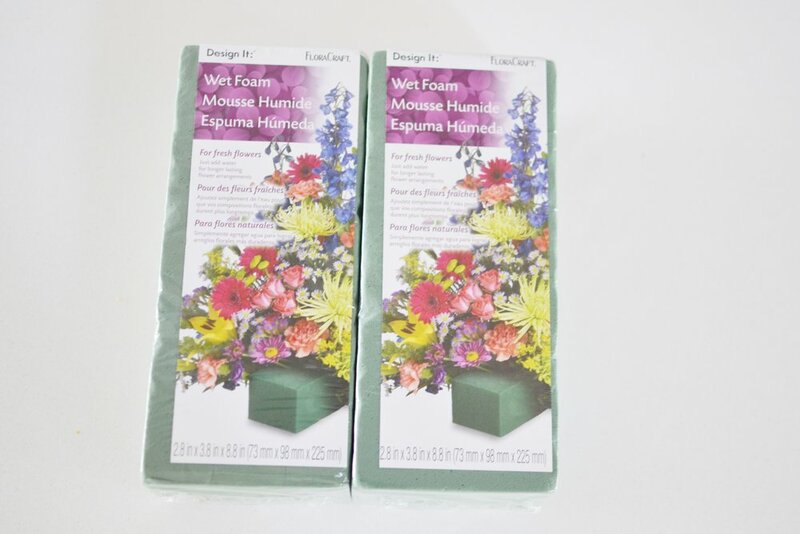 The wet foam ensures that your flowers will stay moist and will help your arrangement last for 3-5 days. 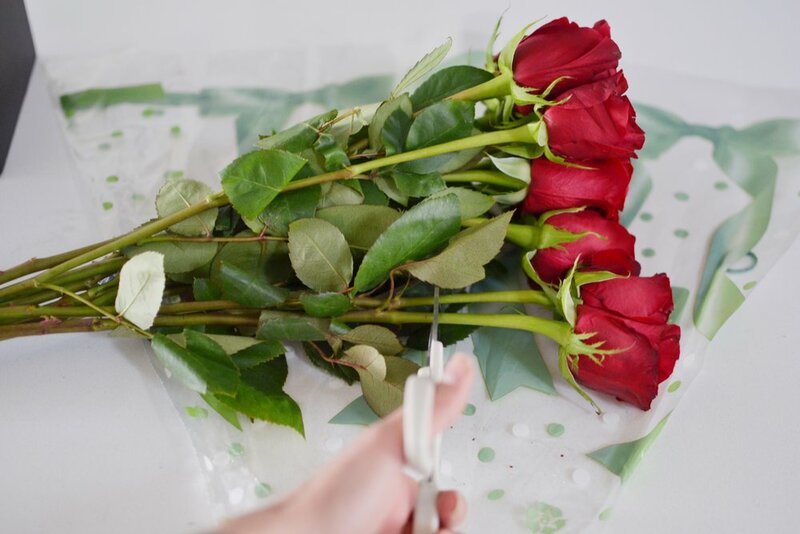 Measure and cut your roses to your desired height. Place roses one at a time into the wet foam in a line (I did 4 rows of 4 roses - so used 16 roses in total). I have to say I am really enjoying doing DIY`s lately - maybe it has something to do with the whole wife thing. Let me know if you have any DIY suggestions you think I should try.